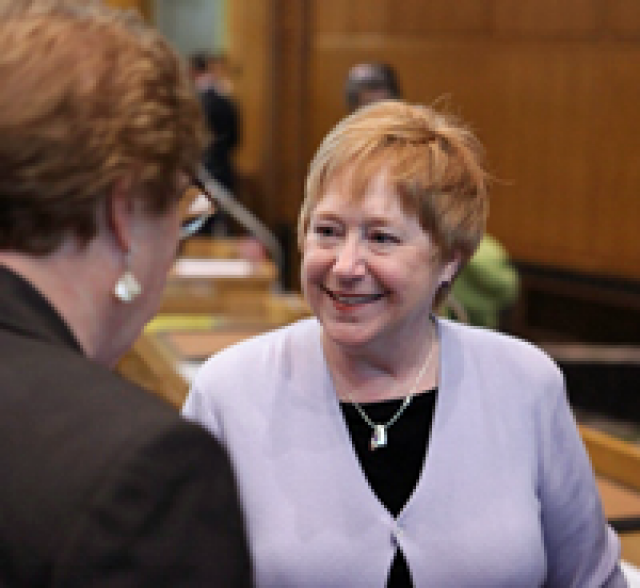 Margaret was appointed in September of 2009 to Oregon House District 35, which encompasses Tigard, Metzger, part of southwest Portland and part of Beaverton. She started her career as a teacher at Milwaukie High School and was a consultant with the Oregon Education Association for 22 years. After retirement, she opened a home-based floral design business in Tigard. She served on the Tigard Planning Commission and volunteers at the Tigard Public Library.